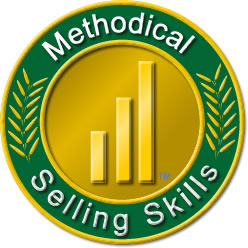 If you've previously registered for the Objection Free Selling elearning courses you continue to have full access through LearnSellingOnline.com + you get access to all the additional courses and resources available on that site. Please contact Bob@Saleshelp.com with any questions you might have. The knowledge, skills, and strategies taught in the book are now available for those who prefer to learn online. Select this link or the logo on the right to preview and buy the course on OpenSesame.com ($15.00). The Objection Fee Selling eLearning course can also be purchased as a part of this cost saving bundle. Systematic selling skills that make logical sense, can be used with diagnostic precision, and will consistently produce exceptional levels of results.. This course bundle consists of seven individual courses that all use the same language, blend seamlessly, and utilize common knowledge, skills, and strategy structures to produce results that are immediate, observable, measurable, and sustainable. Each course includes downloadable job aids and other learning tools. 1. Strategic Sales Plan: Identify and validate the steps in your sales process. Know why your sales fail and how your wins are won. 2. Profile and Qualify: Identify the key characteristics your most desirable customers have in common and identify the critical decision makers by the roles they play. 3. Competitor Analysis: Identify the objections you’ll get and how to neutralize them. Identify your Unique Selling Points to identify customer needs only you can meet. 4. Features, Advantages, and Benefits (FAB): Learn to communicate with the irrefutably logical persuasive language of selling. 5. FAB-TEA Value Selling Model: A strategically designed interview process that first educates the prospect and then asks them about the benefits they expect to get to fill their functional, business, and human needs. 6. Telephone Cold Calling with Voicemail Strategies: Prevent initial contact objections such as, "not interested," and "already have someone," and quickly turn screeners into coaches. Use voicemail as an advertising medium to warm up your cold calls. 7. Objection Free Selling: Learn the skills common to preventing, preempting, and responding to all objections and the skills common to negotiating trade-offs for all unanswerable objections. Select this link or the course logo to the right to preview and buy the course on OpenSesame.com ($90.00).